The first axiomatic statement is this: Almost all frustration and anxiety come from a refusal to be what one is. In other words, frustration and anxiety are the result of playing a part other than the one you have been given. Someone tells the story of a man who was out of work. His unemployment compensation benefits had run out, and he was desperate. He went to the zoo to ask for work, and the zoo keeper told him they didn’t really have any work, but he could make a few extra dollars by taking the place of a gorilla who had died the day before. Now the difference between some Christians and the man in the gorilla outfit is that whereas he was forced into his role, we aren’t. We choose a role for which we are not suited, and in that choice is the source of much of our misery and frustration. Have you ever seen Christians who seemed to be very pure and very spiritual—and very miserable? The problem with those Christians is that they were playing a role for which they were not suited. Jesus said, “No one is good except God” (Mark 10:18). If Jesus was right, and I have every reason to believe He was, then we pretend to be good and pure, we have just climbed into a gorilla suit. And then there are those Christians who feel that everything they say comes as if from Sinai. They make all sorts of political and social pronouncements as if God Himself had given them a corner on truth. They are very serious—and very miserable. God says, “The heart is more deceitful than all else” (Jeremiah 17:9a). If that is true, then the person who believes and acts as if he or she had a corner on truth (when only God has that corner) has started wearing a gorilla costume. We see countless examples of Christian men and women who play parts for which they were not created in the pride that so often is the a mark of modern Christianity, in the anger we feel when our plans are crossed, or in the way we want the world to revolve around our selfish desires. It is important that we understand that the source of much of our frustration and anxiety is our proclivity toward being something we aren’t. *This humorous anecdote was adapted from the excellent book by Stephen Brown. If God is In Charge. Thomas Nelson: Nashville, 1983. Pages 61-62. 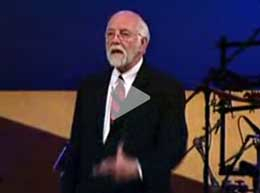 Dr. Steve W. Brown on the Question: Why Does God Have Rules? If you drink a diet soda with a candy bar, the diet soda cancels out the calories in the candy bar. When you eat with other people, calories don’t count if don’t eat more than they do. Cookie pieces contain no calories; the process of breaking causes calorie leakage. Don’t you wish those were true? We would find life more enjoyable if we stopped fighting against God’s rules. Circle, highlight, or underline all the benefits of God’s Word and knowing and obeying it as mentioned in Psalm 119. You’ll begin to get a taste of all that awaits those who guide their lives by God’s loving counsel. Dr. Brown is the author of many (16 and counting) books and also serves on the Board of the National Religious Broadcasters and Harvest USA (He earned his B.A. from High Point College; an S.T.B. from Boston University School of Theology; and an Litt.D. from King College). Steve is one of my favorite writers and speakers because he is authentic, a great story-teller, is a theologian in disguise, and really knows how to address the realities of how sinful humans can experience the amazing grace of God. The article above was adapted from page 176 in his excellent book on surviving and thriving in a tough world: Jumping Hurdles, Hitting Glitches, and Overcoming Setbacks. Colorado Springs: NavPress, 1992. 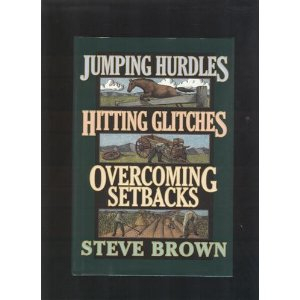 Tags: and Overcoming Setbacks., dieting, God’s Rules, Hitting Glitches, Jumping Hurdles, knowing and obeying God's Word, Psalm 119, Steve Brown, Why Does God Have Rules? “One crushing stroke has sometimes laid the minister very low. The brother most relied upon becomes a traitor. Judas lifts up his heel against the man who trusted him, and the preacher’s heart for the moment fails him. . . . Strife, also, and division, and slander, and foolish censures, have often laid holy men prostrate, and made them go ‘as with a sword in their bones.’ Hard words wound some delicate minds very keenly…. By experience the soul is hardened to the rough blows which are inevitable in our warfare; but at first these things utterly stagger us, and send us to our homes wrapped in a horror of great darkness…. “When troubles multiply, and discouragements follow each other in long succession, like Job’s messengers, then, too, amid the perturbation of soul occasioned by evil tidings, despondency despoils the heart of all its peace. Constant dropping wears away stones, and the bravest minds feel the fret of repeated afflictions. If a scanty cupboard is rendered a severer trial by the sickness of a wife or the loss of a child, and if ungenerous remarks of hearers are followed by the opposition of deacons and the coolness of members, then, like Jacob, we are apt to cry, ‘All these things are against me’… Accumulated distresses increase each other’s weight; they play into each other’s hands, and like bands of robbers, ruthlessly destroy our comfort. Wave upon wave is severe work for the strongest swimmer. The place where two seas meet strains the most seaworthy keel. If there were regulated pause between the buffetings of adversity, the spirit would stand prepared; but when they come suddenly and heavily, like the battering of great hailstones, the pilgrim may well be amazed. The last ounce is laid upon us, what wonder if we for awhile are ready to give up the ghost!” (Charles H. Spurgeon. Lectures to My Students. London: Marshall, Morgan & Scott, 1969, 161-162). Spurgeon, of course, was talking to ministers, but everyone can identify with his comments. One of the great problems with broken ropes is the inevitable discouragement which follows. How does one deal with the demon of discouragement? Let’s talk about it. The writer of Hebrews first suggests that we are surrounded by witnesses. The eleventh chapter of Hebrews lists a number of Old Testament characters who endured great suffering and who persevered through faith. Talk about broken ropes! The writer ends that chapter talking about people of God who were mocked and beaten, who were stoned, imprisoned, sawn in half, and who had no homes (see Heb. 11:36-39). The apostle Paul wrote the Christians in Corinth about the trials he and his friends had experienced-trials so great that they “despaired even of life” (2 Cor. 1:8). I wouldn’t wish that kind of hurt on anyone, but I’m glad Paul went through it. It makes me feel better about my own discouragement. Discouragement, you see, is almost always marked by a feeling of aloneness. You feel that no one could possibly understand, no one could possibly have had the kind of troubles you have, no one could possibly be as discouraged as you are at the moment. It helps sometimes to remember that others have indeed shared the occasion of suffering. An old spiritual says, “When I’ve done the best I can and my friends misunderstand, / Thou Who know-est all about me, stand by me.” But, you see, all of your friends don’t misunderstand. You just think they do. Discouragement is a part of living. In the early part of the sixteenth century a man by the name of Thomas Bilney became convinced of the need for the Bible in the lives of believers. Because he was vocal about those convictions, he was burned at the stake in Norwich, England, in 1531. His story is not uncommon. Many people have burned at the stake because of their convictions. I think of Bilney and Latimer when I get discouraged. They are a few of the witnesses who minister to me when my rope has broken. I have also asked God to give me enough grace to “keep on trucking” so that I may be a witness to others whose rope has broken. The passage quoted from Hebrews 12 not only suggests that we have company, but also reminds us that we have been forgiven. The writer says, “Let us lay aside every weight, and the sin which so easily ensnares us.” I don’t know about you, but when I’m discouraged, the first thing I do is evaluate my sin-and I find a whole lot. Guilt, you see, is part of the demonic element in discouragement. How do you lay aside the weight and sin? You do it with confession, resting in the promise that “if we confess our sins, He is faithful and just to forgive us our sins and to cleanse us from all unrighteousness” (1 John 1:9). Discouragement hardly ever grows in the soil of forgiveness. When I was in high school, a group of my friends and I had an all-night party. About three in the morning someone suggested that we go swimming in the pool of an exclusive club and hotel in town. It was very dark when we climbed the fence and approached the pool. We were having a good time until one of my friends jumped off the high diving board, sitting on an inner tube. When he hit the water, it sounded like a shotgun blast. Before we knew what was happening the lights started going on in the hotel, and the night watchman came out of his office with his gun and a flashlight. We ran. Guilt is like that inner tube. If your rope has broken, you already have enough trouble without adding guilt to the pile. You’ve already seen that there is no absolute correlation between your sin and your broken ropes. So, don’t forget to throw away the inner tube. Examine your life, accept your forgiveness, and don’t keep carrying around the inner tube of guilt. Peter’s problem was that he began to look at the waves instead of at Jesus. I don’t know about you, but if the waves had been big, I would have looked at them too. When waves are big, the danger is real, and we think about them to the exclusion of anything else. Some broken ropes are so devastating, it’s hard to look at anything except the broken rope. When you’re going through a divorce, when you have cancer, when you’re losing your children, others may easily say look at Jesus, but it’s very hard to do. All of that granted, there is still a difference when Jesus is with us. Looking to Jesus may not be easy, and we can’t ignore the waves altogether. However, the point of Peter’s experience was not to show that waves exist or how big they get but to show that Jesus was there. He was there for Peter, and He is there for us. One of the many nice things about my wife, Anna, is that she always puts little notes in and around the clothes I pack when I leave home for a speaking engagement. Anna knows that I get nervous in academic settings (I ran away from kindergarten, and I struggled through the next twenty years of education) and that I have a great desire to do well and to have people like me and a great fear of failure. As I was dressing before a lecture I was to give at Denver Seminary, I found a note in my shoe: “Just remember that nothing is going to happen today that Jesus can’t handle. ” That note reminded me about the One who owns me and for whom I speak. Because Anna helped me to focus on Jesus instead of myself and the situation, I felt a lot better. no matter what the circumstances. Either Jesus is there or He isn’t. Either Jesus does have something to do with your situation or He doesn’t. If He doesn’t, you have a whole lot bigger problem than discouragement. But the Scripture is clear about His involvement: “And we know that all things work together for good to those who love God, to those who are called according to His purpose” (Romans 8:28). Focus on Him. It can make a big difference. I want to remind you of four important items we often forget when we’re discouraged. When you look at the history of God’s people, you see God’s faithfulness and love. When you look to your own past, you can also see God’s faithfulness and love. God has been building memorials in your life from the time you were born. What’s a memorial? It’s a memory of times when God has been faithful. If He was faithful in the past, He won’t stop being faithful now or in the future. If I had been standing on the side of the boat, watching Peter go under the waves, I would have shouted to him, “Hey Peter! You were walking. You were really walking on the water before you got so overwhelmed by the waves. You aren’t going to drown. Jesus won’t let you.” If I could have gotten Peter’s attention, maybe he would have climbed back up on the wave and ridden it to Jesus. Of course, he didn’t. That’s why Jesus reached down and pulled him out. I’ll bet Peter recorded in his memory those waves and Jesus’ faithfulness on that day. I’ll bet Peter thought about it the rest of his life. spiritual battle: “Therefore take up the whole armor of God, that you may be able to withstand in the evil day, and having done all, to stand. Stand therefore, having girded your waist with truth” (Eph. 6:13-14). Please note that Paul said we need to depend on truth for support; facts are the reality, not our feelings about the facts. One of the marks of discouragement is the “feeling” that God has gone away-that you aren’t important and that you’ve been kidding yourself about your relationship with Him. I heard the story of a man whose wife left him, children disowned him, and business failed. As he was walking down the street, he was hit by an automobile and left bruised and battered, a number of bones broken. In his agony he called out to God, “Why me? What have I done to deserve all of this?” He thought he heard a voice from heaven saying, “Sam, you haven’t done anything wrong. There is just something about you that ticks me off.” Discouragement can make you believe that you’ve offended God. Is that true? Of course not. God doesn’t act in that kind of capricious manner. How do I know that? Because the Bible is clear on the subject. When you were a teenager did you go to one of those Christian camps where there was a closing campfire? If you did, you’ll remember how you took a pine cone or a stick, which represented your sin, and you threw it in the fire. If you were like me, you then told God that from that point on you were going to be obedient and different. You were going to be God’s person. Those are good experiences, and I don’t want to say anything against them. But you can easily make promises of obedience sitting by a campfire in the mountains, with all your friends singing hymns about Jesus. When you come back home and your mother wants you to carry out the garbage, though, the promises aren’t so easy to keep. It took me a long time to recognize that feelings are changeable and a decision made on the basis of feelings, even a good one, probably would change. There is, of course, nothing wrong with decisions based on feelings except that those kinds of decisions hardly ever last unless they are reinforced with facts. If you are encouraged by certain feelings, you will be discouraged by others. If you are encouraged by facts, no matter how discouraged you become, the facts won’t change. things are going reasonably well. Then, when the darkness comes, I remember the truth I discovered in the light, and I hang on to that with everything I’ve got. In your dealing with discouragement, knowing Bible doctrine is essential because it gives you eternal truths, facts that are constant in spite of what your feelings are at any particular moment. Sometimes I don’t feel like a Christian; sometimes I feel that God could not possibly be a God of love; sometimes I feel that there could not possibly be any meaning in my broken rope; sometimes I feel that God has cast me aside and that my life has been wasted. But, you see, feelings are just that—feelings. They have no reality of their own. That is why I remember in the dark the truth that I learned in the light. 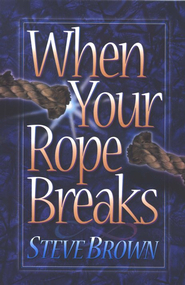 Third, when your rope is broken and you are discouraged, don’t forget that God works out His purpose in the process. The psalmist wrote: The steps of a good man are ordered by the LORD, And He delights in his way. Though he fall, he shall not be utterly cast down; For the LORD upholds him with His hand” (Psalm 37:23-24). Let me tell you a secret. When you’re up, you think you’ll never be down, and when you’re down, you think you’ll never be up. But in the process of living you will go through times of success and joy and times of failure and discouragement. In New England folks have a saying about the weather: If you don’t like it, just wait a couple of minutes and it will change. Discouragement is like that. It comes and it goes, so you need not assume that a state of discouragement, or encouragement for that matter, is permanent. When God decides that your broken rope has accomplished its purpose, He will fix the rope, and the discouragement will be fixed too. My brother, Ron, spent a summer with us on Cape Cod to make some money to pay for his college education. He started out as a waiter because someone had told him that, with the big tips, he would make as much as two or three thousand dollars. That job lasted about two days. After numerous botched orders, broken plates, and angry customers, both Ron and his employer decided that Ron was not cut out to be a waiter. He then got a construction job. The construction contract ran out and he was laid off. He came into my study one day and said, “Brother, this whole summer was a mistake. I should have stayed at home” I tried to encourage him, but in fact, I agreed with him. The summer hadn’t turned out the way either one of us had expected. But when I got home for dinner that evening, Ron was in a much better mood. I figured that he had found another job, but that wasn’t the case. “Steve,” he told me, “I got to thinking this afternoon and decided that my life could change in the next five minutes. Why get discouraged?” He was right. The next day he got a job as a ranger on a golf course, and it was one of the best summer jobs he ever had. Ron understood something we all ought to remember: the only thing that doesn’t change is the fact that change happens. Remember, every day the world rolls over on top of someone who was just sitting on top of it. through the power of God’s grace. It doesn’t always fade quickly or easily, but it does fade away. Just accept your discouragement now as a part of God’s purpose, and be still until the light of understanding and grace shines. Behold, I tell you a mystery: We shall not all sleep, but we shall all be changed-in a moment, in the twinkling of an eye, at the last trumpet. For the trumpet will sound, and the dead will be raised incorruptible, and we shall be changed. For this corruptible must put on incorruption, and this mortal must put on immortality …. then shall be brought to pass the saying that is written: “Death is swallowed up in victory” (I Corinthians 15:51-54). Richard Wurmbrand, who has dealt often with broken ropes, is a voice of hope in the midst of discouragement. He spent some fourteen years in communist prisons and is an example of a follower of Christ who, with hope and love, survived the worst that one man could do to another. this embryo could think with greater discernment than our academicians. It would say to itself: “Eyes develop in my head. To what purpose? There is nothing to see. Legs grow. I do not even have room to stretch them. Why should they grow? And why do arms and hands grow? I have to keep them folded over my breast. They embarrass me and my mother. My whole development in the womb is senseless unless there follows a life with light and color and many objects for my eyes to see. The place in which I’ll spend this other life must be large and varied. I will have to run in it. Therefore my legs grow. It will be a life of work and struggle. Therefore I grow arms and fists, which are of no use here” (Richard Wurmbrand. My Answer to Moscow Atheists. New Rochelle: Arlington House, 1975, 156-157). Broken ropes and the accompanying discouragement remind us that this life isn’t the way it ought to be. Thirst may not prove there is water, and hunger may not prove there is food. But thirst and hunger are very good indicators that there is something somewhere to fulfill those needs, something for resolution and completion, pointing to the future and to a promise. “Let not your heart be troubled; you believe in God, believe also in Me. In My Father’s house are many mansions; if it were not so, I would have told you. I go to prepare a place for you” (John 14:1-2). When your rope is broken and you are discouraged, remember the memorials God has given you in the past and look to the future with the confidence that He has prepared a place for you. Dr. Brown is the author of many (16 and counting) books and also serves on the Board of the National Religious Broadcasters and Harvest USA (He earned his B.A. from High Point College; an S.T.B. from Boston University School of Theology; and an Litt.D. from King College). Steve is one of my favorite writers and speakers because he is authentic, a great story-teller, is a theologian in disguise, and really knows how to address the realities of how sinful humans can experience the amazing grace of God. The article above was adapted from Chapter 8 in his excellent book on surviving and thriving in a tough world: When Your Rope Breaks: Christ-centered advice on how to go on living—when making it through another day is the hardest thing in the world. Nashville: Thomas Nelson, 1988. Though I still chuckle about that remark, I acknowledge with complete sincerity his observation. You see, I’m not a pastor and radio preacher because I’m good or have abilities or because I’m talented. I’m where I’m at because God put me here. And sometimes I’ll be soft and sometimes I’ll be hard, but you remember, I’m just like you. God must remind me over and over that even when people call me Reverend, I’m not. Christ established an equality in the brotherhood that has direct implications for me as well as for you. In every congregation of believers, God sets aside brothers and sisters who are called of God to lead. But the problem is, sometimes we get the idea that we are God’s gift to the world, and when that happens, the delicate balance between gifted leadership and ecclesiastical elitism gets shattered. There’s no room in the Body of Christ for elitism of any sort. That’s the world’s way. After Queen Victoria and Prince Albert had had one of their famous, loud arguments, Prince Albert went to his room and slammed and locked the door. Queen Victoria marched after him and pounded on his door. “Who is it?” asked Prince Albert. “It is your sovereign ruler,” replied the Queen. At that point Albert opened the door. You may be an elder or deacon or a leader in your Sunday school. Perhaps you lead in some of the other groups in your church and conduct Bible studies. Whatever your role, I thank God for you. But remember that you’re doing it (or at least should be) because God told you to do it, not because you’re a super Christian. 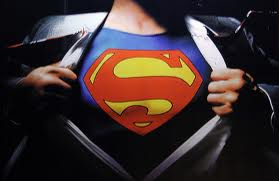 There are no super Christians in the body of Christ. All of us are just one among equals. So when a Christian brother or sister stands on the pedestal of his or her own status…when a peacock feathers start flying in the breeze…don’t bow. That kind of behavior doesn’t need to be encouraged. Honesty does. The importance of being honest and acknowledging our true condition and coequal status cannot be overstated. When a Christian gets honest, something exciting happens. We get to the point where God can use us. Evangelist D.L. Moody once said, “I’ve had more trouble with D.L. Moody than with any other man I’ve ever known.” Thomas a Kempis said, “Be not angry that you cannot make others as you wish them to be since you cannot make yourself as you wish yourself to be.” If we don’t get honest with ourselves, then God is going to force it on us. Let me tell you a prayer that God always answers: “Lord, show me myself.” Don’t pray it unless you mean it because God will surely answer you, and you won’t like what you see. But he’ll make you different through it—I guarantee it. 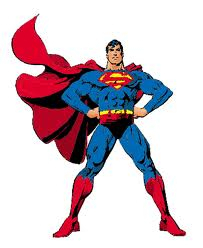 Super Christians? They don’t exist. There are only sinners saved by the blood of the Lamb. Remember the next time you find yourself enjoying compliments so much. If you listen carefully, you will hear them sound like a cape flapping vainly in the wind. 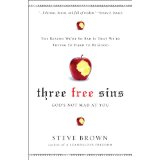 *Steve Brown is a radio broadcaster, seminary professor and author. He previously served as a pastor for over twenty-five years and now devotes much of his time to the radio broadcast, Key Life. Steve is the author of numerous books including A Scandalous Freedom, Approaching God, When Being God Isn’t Good Enough, What Was I Thinking? And Three Free Sins. His articles appear in such magazines and journals as Leadership, Decision, Plain Truth and Today’s Christian Woman. Article above “No Super Christians” adapted from Steve Brown, Jumping Hurdles, Hitting Glitches, Overcoming Setbacks, Colorado Springs, NavPress, 1992, 107-108. The subtitle of this book is “Thoughts on the nature of God for skeptics, Christians, and skeptical Christians.” And these thoughts are at times profound, other times humorous, and always based on Biblical truth. Steve Brown’s books (I’ve read of all of them) are full of stories, good quotes, illustrations, and most importantly – practical expositions of important Biblical passages related to the topic. This book is no exception. 1) What is He like? 2) How is He in Charge? 3) Why do I hurt so much? The foundations of this book from beginning to end are that God is Big, He’s in Charge, and He loves you. The author mines principles for each of the topics above based on sound Biblical evidence from each text. It’s encouraging, entertaining, thought provoking, and very practical. I think the sign of a really good book is that it’s one you will read over and over again – this is definitely one of those books. Thanks for doing it again and again Steve Brown – Keep the helpful books coming.